Risk management is cornerstone to the success of good corporate governance and ensuring a safer workplace and community. We have been working for over 20 years exclusively with Western Australian Local Governments and as a result we have developed a specific understanding of the underlying risks and requirements for you as a sector. 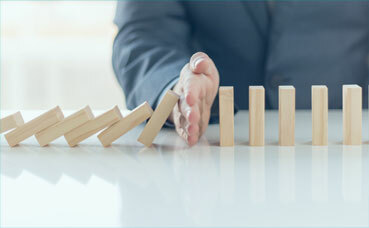 LGIS works with the sector, regions and you individually to assist in making informed decisions on all areas of uncertainty that may impact your ability to successfully deliver risk management strategies and objectives. We do this through providing comprehensive and tailored risk, governance, safety and wellbeing solutions that are aligned with relevant legislation and standards requirements. Our support and assistance is founded on a deep understanding of your needs and applicable known, topical, evolving and emerging risks to WA Local Government. For more information or if ​you’d like to establish a working group in your region please contact the risk and governance team, occupational safety and health team or your regional risk coordinator. Contracts are a common way of transferring risks to one or more parties. It is essential that you take the time to carefully review all contracts you enter into, as ‘risk transfer clauses’ can be present. In particular review the risk transfer clauses and analyse effect, impact and risk reallocation of the clauses. If the transferred risk is within your ‘risk appetite’, then you can make an informed decision to accept the risk and subsequently execute the contract. Failure to make an informed decision may result in you assuming additional risk and liabilities which were not initially intended. Does risk management seem complicated, time consuming or disconnect from what you’re trying to achieve? Could your risk management program add more value to local government decision making processes? Or do you have a specific risk area of risk that you’d like to know more about?